David Knight and Edward Huzzey, both from Sandgate, admitted to 19 offences between them, contrary to section 236 and section 237 of the Merchant Shipping Act 1995. 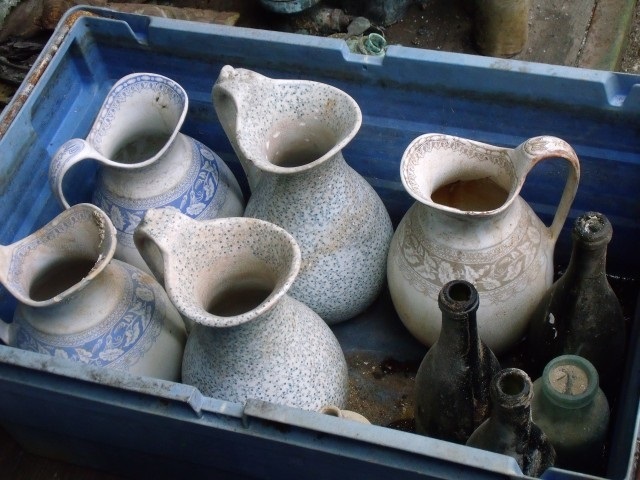 Items were taken from shipwrecks off the Kent coast, with the first known objects removed in 2001. The shipwrecks targeted included German submarines from World War I and an unknown 200 year old wreck carrying English East India Company cargo. The items included eight bronze cannons, three propellers from German submarines, lead and tin ingots, along with various other artefacts. It’s thought the combined value of the items is worth more than £250,000. The Maritime and Coastguard Agency (MCA) is aware from diary entries that Knight and Huzzey used explosives and sophisticated cutting equipment to free wreck material. Alison Kentuck, the MCA’s Receiver of Wreck, said: “Our message is clear: all wreck material found within or brought within UK territorial waters must be reported to the Receiver of Wreck. It is not a case of ‘finders keepers’. “Finders of wreck have 28 days to declare their finds to the Receiver. This case highlights the importance of doing that and demonstrates what could happen to you if you don’t. By reporting wreck material you are giving the rightful owner the opportunity to have their property returned and you may be adding important information to the historic record. 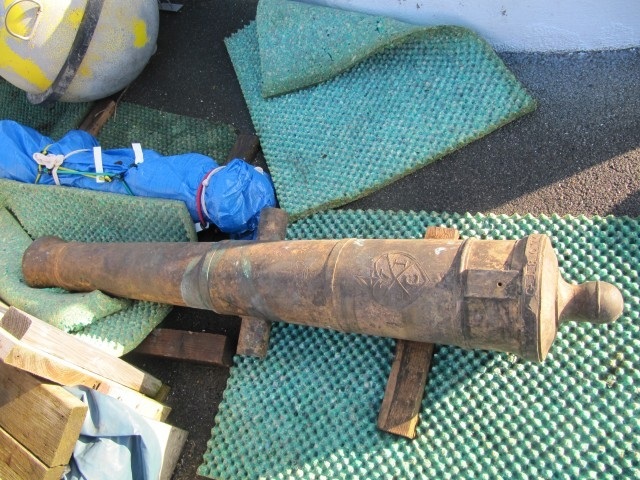 English Heritage has provided advice on handling cultural objects, assessed the importance of objects seized as evidence and provided expert advice in relation to uncontrolled salvage on submerged archaeological remains. The MCA would also like to appeal to the public regarding the whereabouts of six bronze cannons that remain outstanding. They were constructed in 1807 by W & G and have the English East India Company logo (VEIC) on them. In 2013, the Receiver of Wreck dealt with an estimated £10 million worth of wreck material involving more than 35,450 objects.